Is it just me or do you guys also get a rush of energy to reorganize your whole house in January? Perhaps it’s because taking down all those Christmas Decorations makes our house feel clean and empty and that gives us the motivation to start organizing. Whatever it is, I sure do a ton of it around here in the New Year. 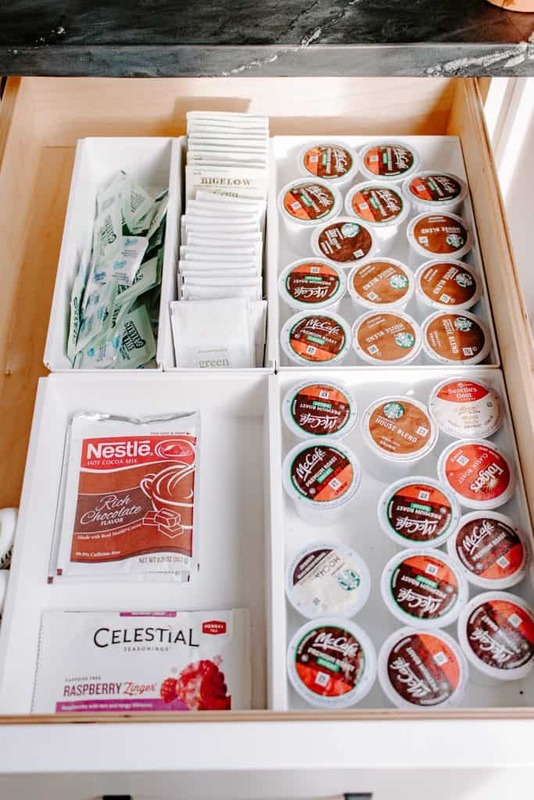 Today, I want to show you my favorite cheap drawer organizers! I’m focusing on two of our drawers that you probably also have in your house. Beverage Drawer? Not sure what to call it but let’s get into it. You guuyyyyyys. 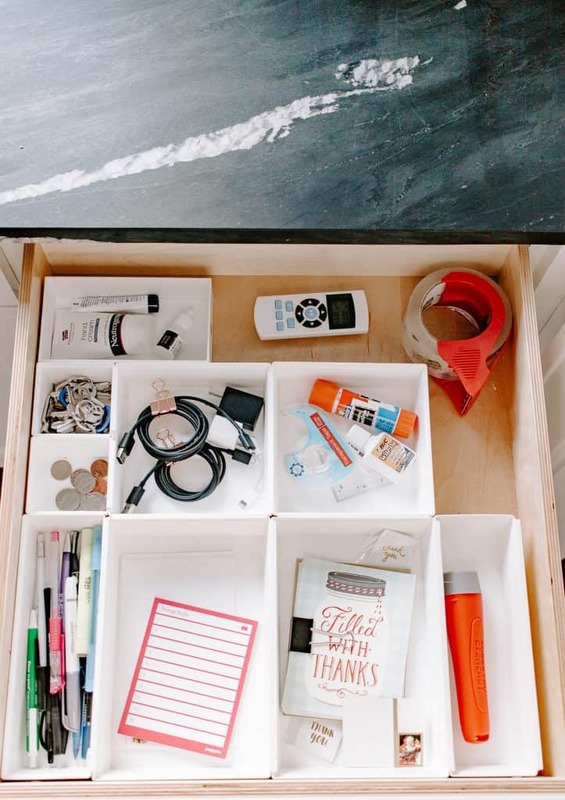 These inexpensive drawer organizers are THE BEST. Ok, they are cheap. Like, less than 2 bucks each cheap! 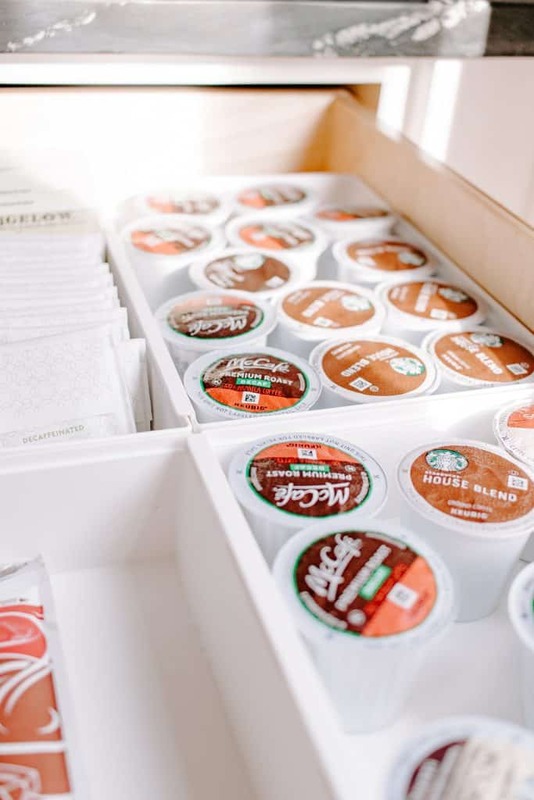 I got mine from Storables but Amazon also has a version of these interlocking drawer organizers too. They snap together to form whatever configuration you want. 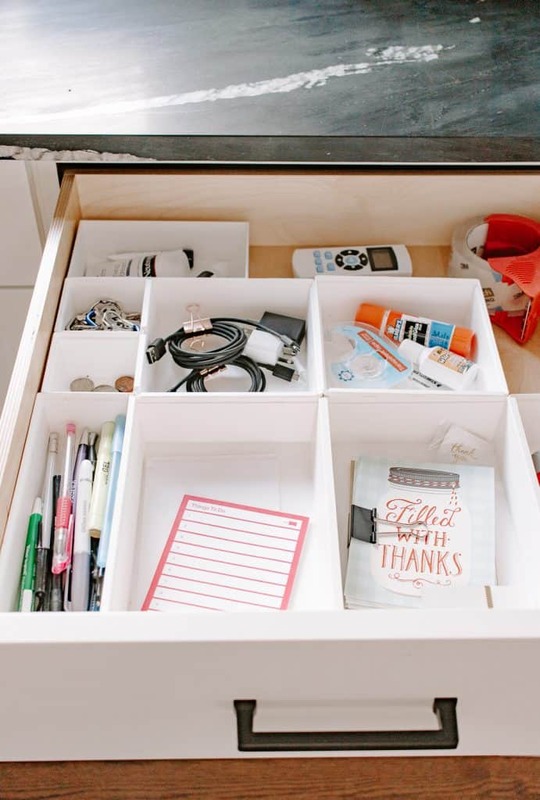 So you can leave some open space in your drawers for mail or other items. Or, you can fill it all up. 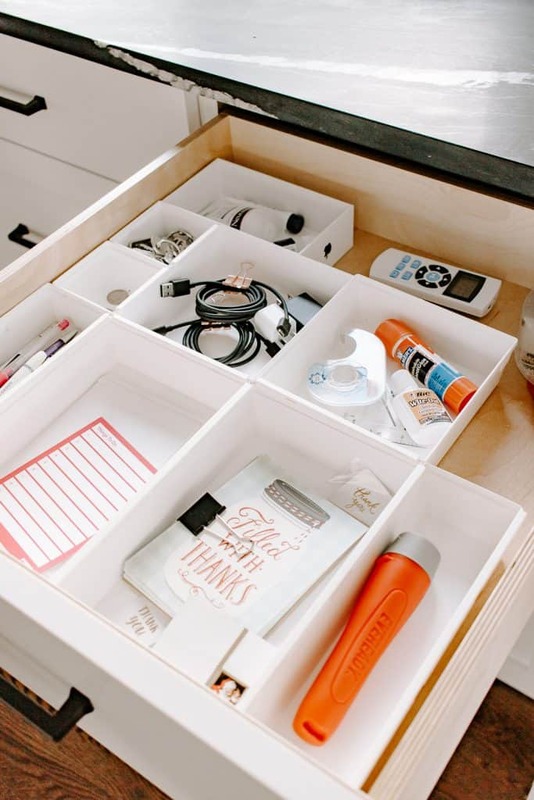 These drawer organizers come in the most perfect sizes ever. 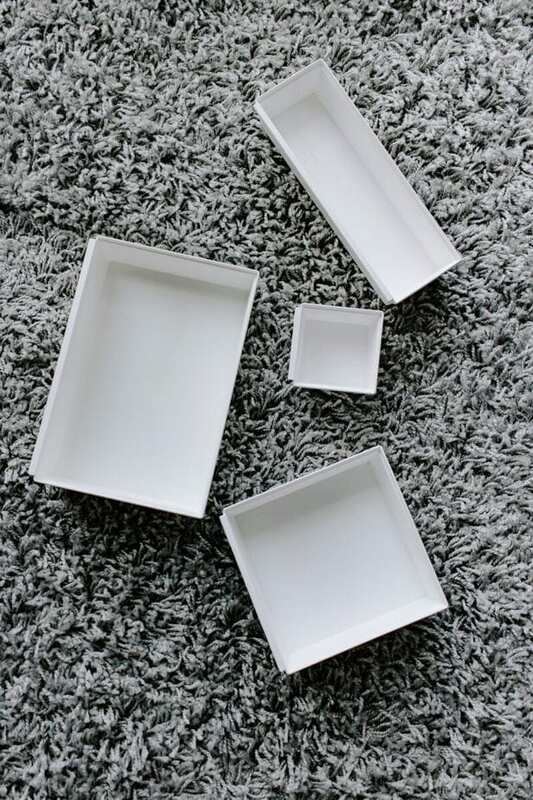 They have long skinny ones for pens and markers, small square ones for loose change and keys, medium square ones for cords and office supplies, and larger ones for notepads, thank you cards, remotes etc. Tip : Corral your electronics cords with binder clips to keep them from over running your drawers. Also, (and I feel like I say this a lot), it’s important to keep what you have manageable and purge the items you don’t need. I’ll be the first to admit we have WAY too many pens and pencils in there. It’s going to look messy if it’s stuffed to the brim with things. Truthfully, we just don’t need all that stuff! 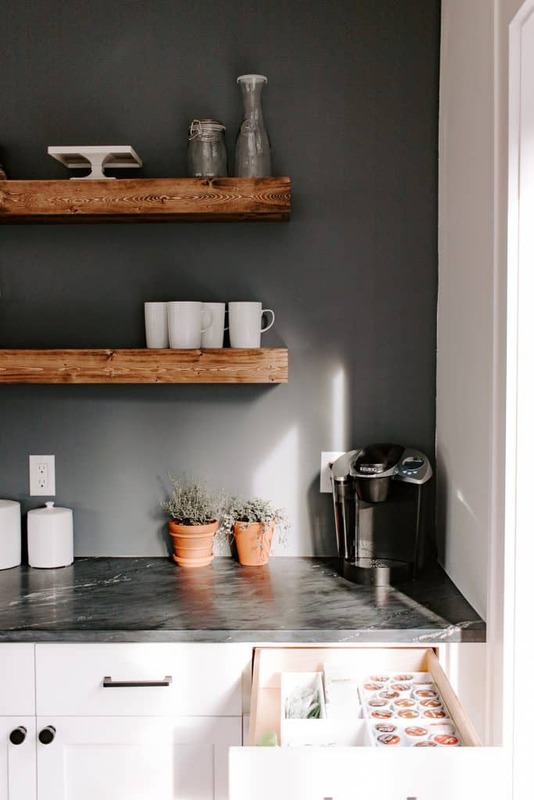 Let’s move into the coffee bar area. 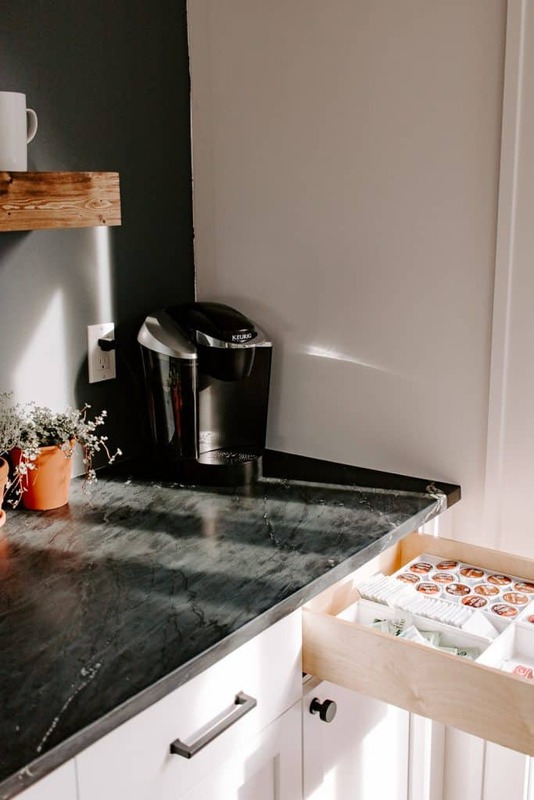 For the longest time we kept our k cups in a canister on the counter. 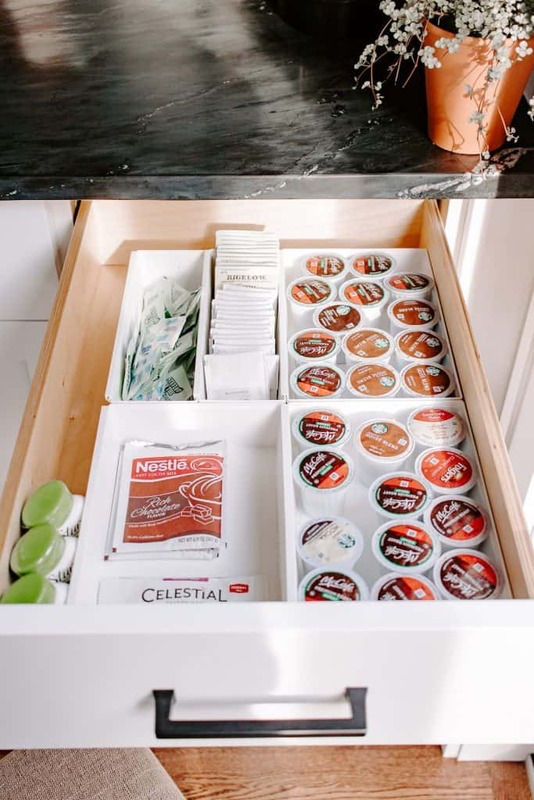 But now that we have more drawer space, I decided to make it much easier to grab the exact coffee, tea, or hot chocolate you want. This makes it super easy for me to take stock of what we need before I go to the store. Plus – this is nice to have for guests. 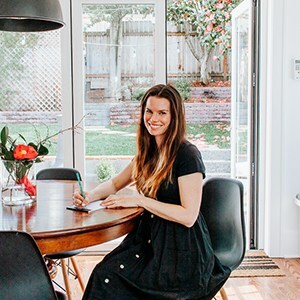 If they wake earlier than you (which never happens for us because we have kids but maybe someday), then they can easily grab a mug, grab a coffee and a couple sugars and help themselves. If you are more of a tea drinker you could just organize this based on varieties of teas. The long skinny organizers work perfectly for holding individual tea bags.